The Dana Point Chamber of Commerce collaborated with chambers from San Clemente, Laguna Niguel and San Juan Capistrano to host the Active Shooter Response & Impact of Violence Training Workshop on Tuesday, Nov. 13, at Capo Beach Church. Speakers included Dana Point Police Services Chief Lt. Margie Sheehan, SWAT Team Leader and Investigator Shane Millhollon as well as Heather Williams, regional peer support coordinator for Orange County Sheriff’s Department. The presentation referenced specific shooting incidents and what law enforcement was able to learn from them. “In a shooter situation, you can either run, hide or fight. 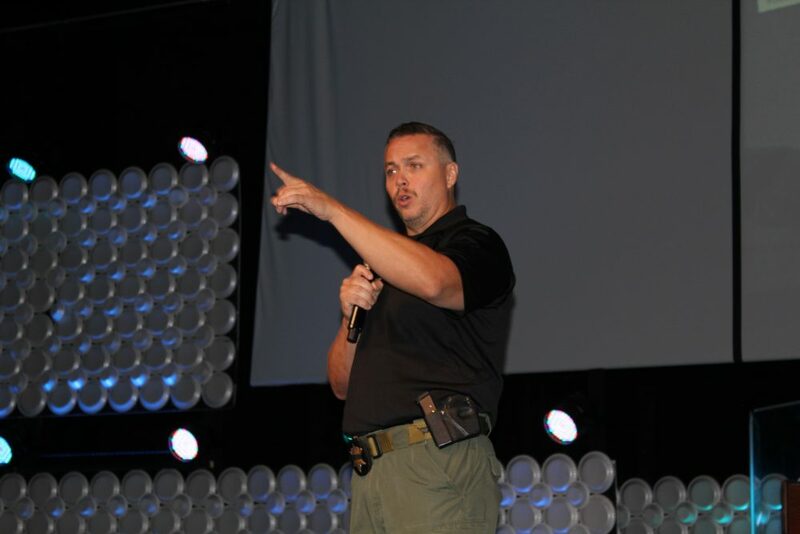 There’s no certain way to know how you’ll react in a mass shooting, but being prepared and having a plan already gives you an advantage,” said Millhollon. For more information on how to create a plan for a mass casualty or active shooter scenario in your business, agency or household, visit www.embassyconsultingservices.com.